If you’ve ever been backpacking, you know that every little object you bring has to be functional and lightweight. Ultralight is key. Backpackers employ all sorts of weight-reducing techniques, including sawing off long toothbrush handles, bringing dehydrated meals, eating heavy foods first, packing aluminum cookware instead of stainless steel, and the list goes on. 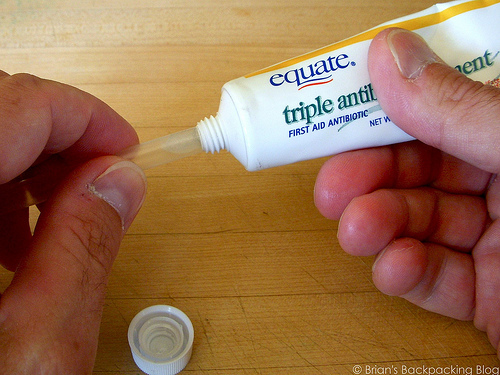 On the trail, it’s important to be prepared with a first aid kit, but rather than bringing a whole bottle of antibiotic ointment, you can purchase single-use packets. But they can be expensive and hard to find. So instead, make your own. 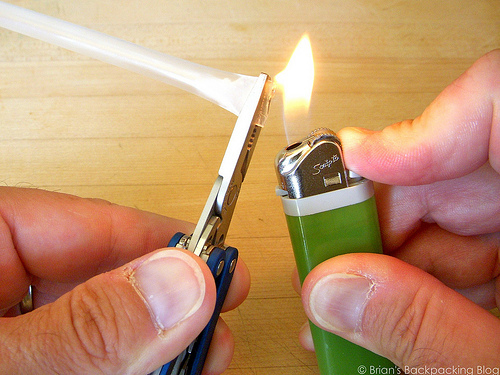 Brian’s Backpacking Blog explains how to make single-use antibiotic ointment packets using a straw, a lighter, and needle-nose pliers. 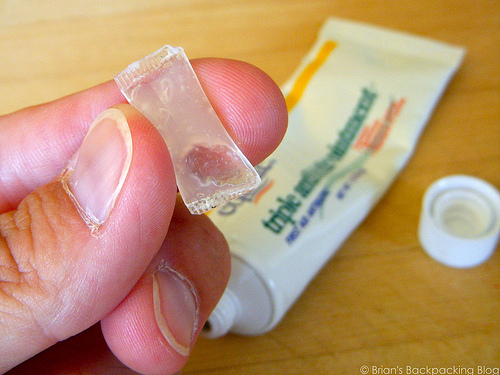 These are ideal for a small toolbox first aid kit, too — just rubber band them together with a couple Band-Aids.